Milan has no sea, nor does it have a river. This observation is obvious but it conceals a mystery: why is it that, unlike almost all major cities in the world, the chief city of Lombardy was not founded on a waterway? 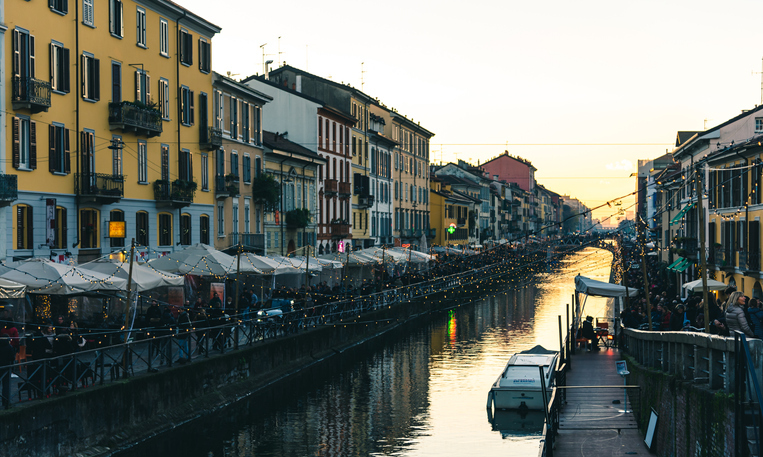 The fact is that water was brought to Milan by a series of canals dug out by hand, canals that are now the venue for aperitifs, running races and romantic embraces: the Navigli. Milan has nine canals and three basins; some have been covered over and turned into streets and squares. This canal system connected the city to Lake Maggiore and Lake Como. All the material used to build Milan’s Duomo arrived from Piedmont floating on large barges. The Darsena is the largest of Milan’s basins and it is the only one that is still uncovered. For many years it was one of the most important Italian ports based on the quantity of goods transported. The building of the Navigli dates from long ago, and the canals grew with the city. Towards the end of the 15th century, Ludovico Sforza, Duke of Milan, was promoting a major development of the canal system and precisely in those years a letter arrived on the Duke’s desk. It was a CV, perhaps the first ever. It was a hand-written sheet on which the author described what he was able to do in ten points. 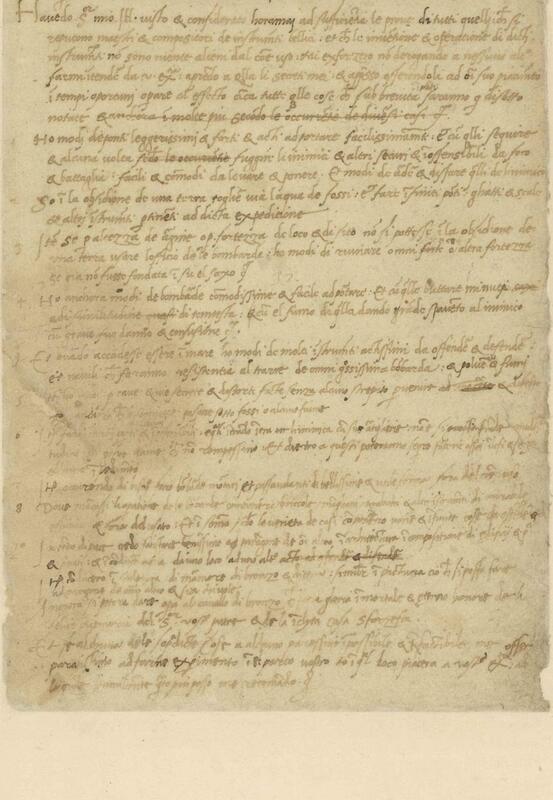 Ludovico Sforza probably did not recognise the signature on the CV, but in the Biblioteca Ambrosiana, it is now possible to admire that priceless yellowed sheet of paper, and read a legendary name: Leonardo da Vinci. That is, he offered himself to Ludovico Sforza as an architect, as able as any other, and above all as an expert in channelling water. 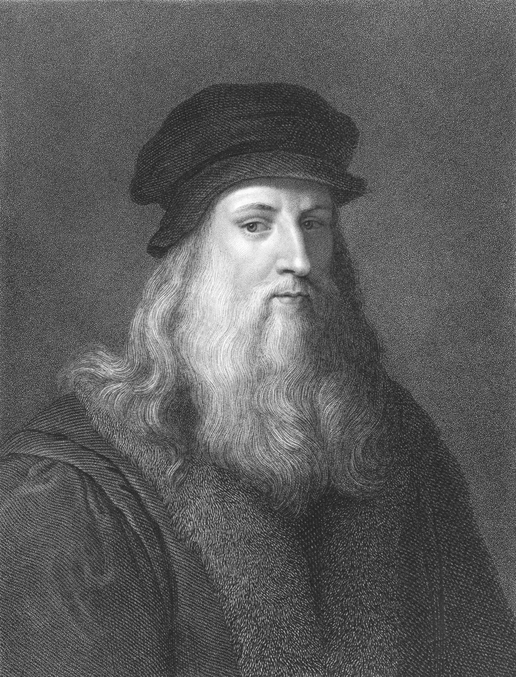 The Duke took him on and Leonardo made his valuable contribution to Milan’s Navigli.